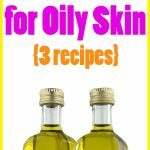 6 Oil Cleansing Method Recipes for All Skin Types - beautymunsta - free natural beauty hacks and more! 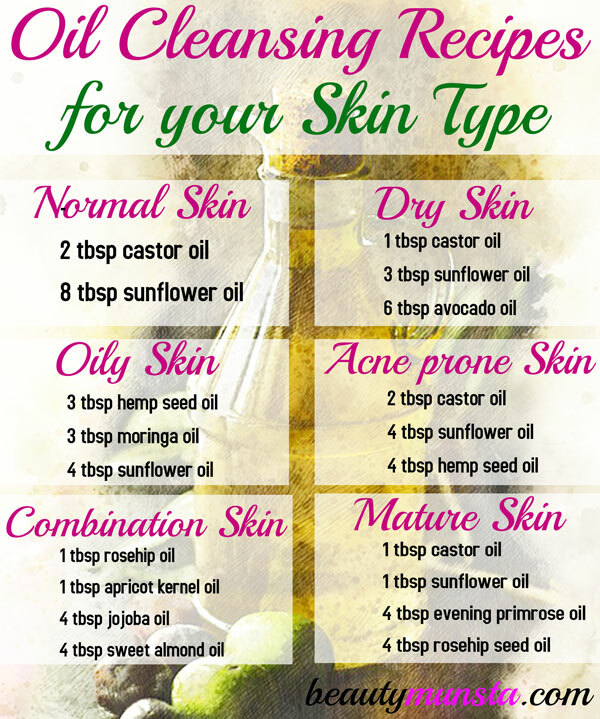 Find 6 oil cleansing method recipes to help you choose the perfect one for your skin type! Splash your face with warm water to open up your pores. Next massage 1 tsp of a good skin care oil or an oil blend to your face in gentle circular motions for a minute. This helps dissolve the stale oils within your pores and drive out dirt, pollution, dead cells and germs. Run a microfiber washcloth under hot running water and wring it out. Start pressing or dabbing this washcloth all over your face to allow the nourishing oil(s) to penetrate deeper. After that, wring out the washcloth in hot water again and look up with your eyes closed and place the washcloth on your face. You’re gently steaming your face at this step. Finally, wipe off the excess oils from your face with the washcloth and splash your face with cold water to close pores. Don’t forget to throw the washcloth in the washer. Your skin will be clean, soft, supple and moisturized! You won’t have to moisturize it! Amazing, right?! 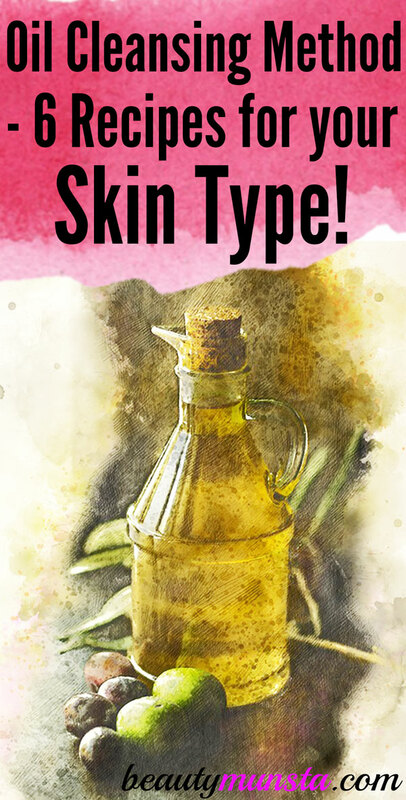 Choose the recipe suited for your skin type and whip up your oil cleansing combination! 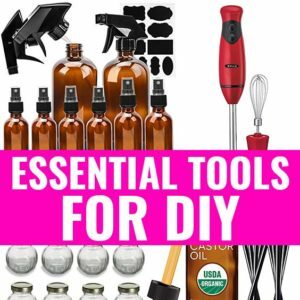 Store your oil blends in a clean bottle in your bathroom cabinet. I prefer using amber glass bottles to protect the oils from light degradation. I like my custom oil cleansing blend to include herbs and other goodies like green tea infused oil, black seed oil and essential oils too! So feel free to add other healing ingredients such as geranium essential oil, tea tree essential oil and even vitamin E oil to your blend! Sunflower Oil. Okay so you must have seen most of the recipes contain sunflower oil, right? That’s because sunflower oil is high in linoleic acid that’s good for dissolving thick sticky sebum. It also helps make the consistency of sebum high quality. Oily and acne prone skin have low quality sebum (thick & sticky) which easily clogs pores and causes greasy skin and breakouts. To know more about Oils Rich in Linoleic Acid, please follow the link! Sunflower oil is also amazing because it has a comedognic rating (pore clogging rating) of ZERO! Hemp seed oil & Argan oil. Will absolutely not clog pores because they have a comedogenic rating of zero. Moringa oil. I personally use this and it’s a lovely oil to use for oily and acne prone skin types. That’s because it’s a ‘dry’ oil. It sinks into skin super fast and leave a dry feeling on skin which is brilliant for those with greasy skin! It’s also antibacterial and helps fight germs. 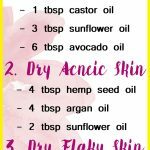 Castor oil is thick – why would you include it in most of the recipes above, even acne prone skin?! I feel you, friends. But castor oil is actually a ‘purging’ oil. It has discutient properties that make it expel toxins, dirt and gunk hidden in the pores. 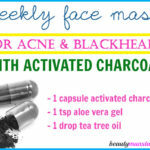 So it’ll also help drive out acne causing bacteria and cystic acne! 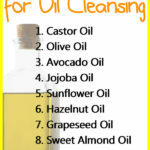 I’m super excited for you to try out one of the above oil cleansing method recipes! Come and share your experience!